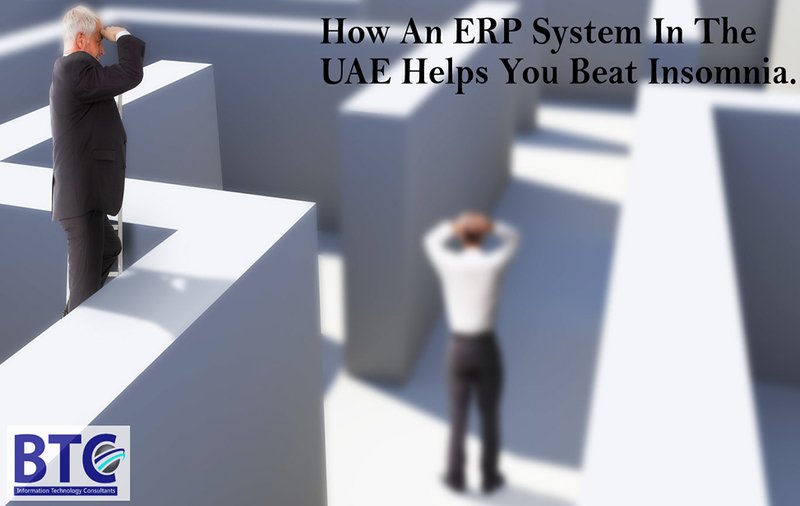 How An ERP System In The UAE Helps You Beat The Insomnia? Business owners and struggling leaders have sleepless nights again and again because their minds are always busy in niggles, which keep them restless even during the day. They have to juggle between so many things and to handle all of them; they have to keep themselves engaged all the time whether it is a night time after a hectic day. The only way, through which the businesses can run smoothly and without working and thinking at nights, is to engage an ERP system such as SAP B1 in the UAE. This system helps you keep all your business records updated and beat the insomnia. Now, let’s find out those points, where we lose control on our sleeps and need an ERP system solutions in our organization! Sales always disturb the business owners, especially those who own small businesses. If you do not know exactly about properly qualified potential customers in the pipeline, you will always feel pressure. An ERP system such as SAP B1 in the UAE provides you all the records and forecasts the sales of the near future. There is a need of a huge calculation if you want to know the current value of the stock. An ERP system helps you out in this regard as well. In a manual system, the chances of doing errors and mistakes are more than the computerized system and it can create issues for the business owners. In a manual system, we need to back-flush our bill of materials to identify the stock available in the godown while with SAP Business One in the UAE, you just need to click a few steps and will get what you want. Through an ERP system, you can reach at the exact cost price without facing ambiguities. It helps you set the pricing and quoting and finish the job efficiently. With an ERP system, you can get to know quite easily about the cash in hand and bank. This information helps you communicate with the suppliers. Accounting Software in Dubai helps you make the right decision of purchasing with reports at glance. Sage 50 UAE helps serve the purpose in this task. The business owners spend nights sleepless because they do not know the exact position of their business, which can only be done through daily reports. SAP Business One in UAE provides you all the reports according to your requirement at any time to help you beat the insomnia immediately. How To Plan A Budget With Sage 300 ERP?